We manufacture a wide range of HDPE Woven Sacks, PP Sacks, HDPE Sacks (With & Without Liner) which is widely used to ship large quantity of major items. Our range is available in different sizes to meet the requirements of various clients. 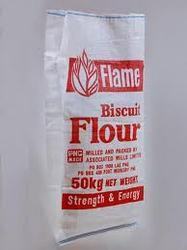 Made using high grade raw material, our Woven Sacks are well fabricated and appreciated for their quality & reliability. Serving the requirements of the packaging industry Packaging process at the end of the value chain of any business, provides the finishing touch that completes the product. It not only protects the enclosed product but can also lets the customer know what is it that it is holding in addition to appealing the customer. We at ToolAsian strive continuously to provide you with the best product. We do it efficiently in order to pass on those cost benefits to you. At ToolAsian, we continuously strive to reduce our carbon footprint in any way that we can. Our products are recyclable using appropriate processes.